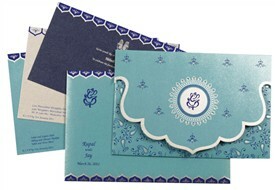 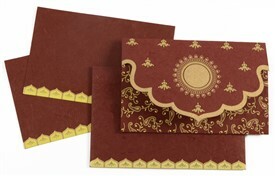 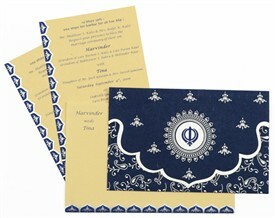 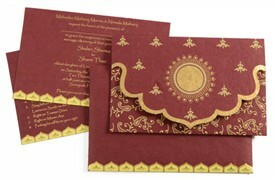 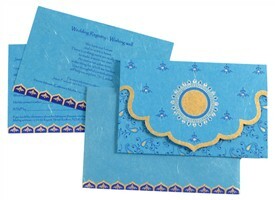 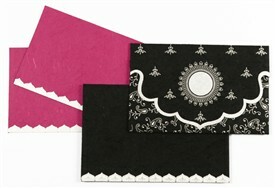 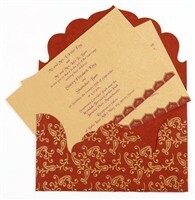 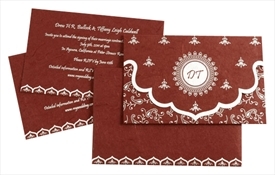 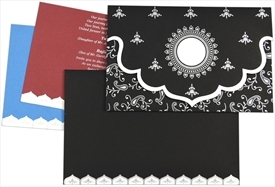 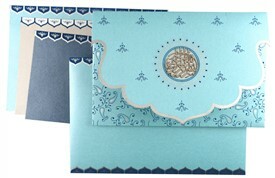 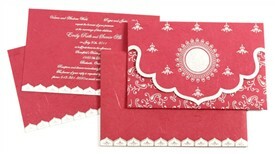 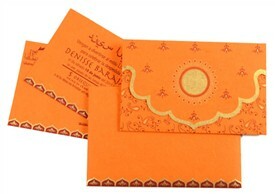 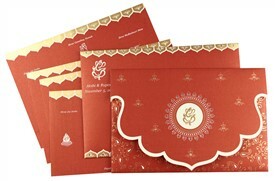 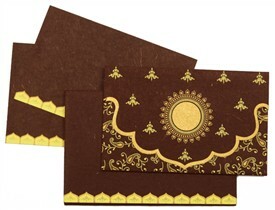 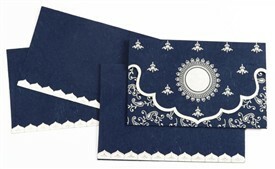 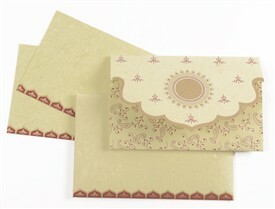 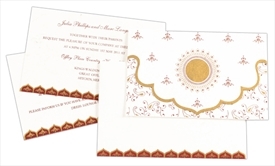 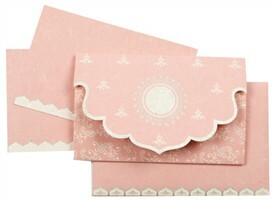 D-1447, Red Color, Handmade Paper, Small Size Cards, Light Weight Cards, Designer Multifaith Invitations. 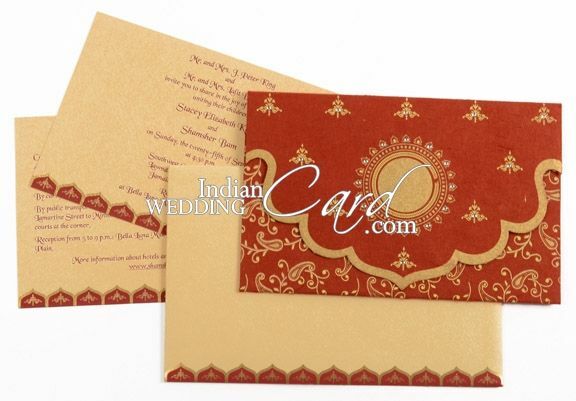 Red colored silk handmade paper (200gsm) for folding style card; 2 inserts and mailing envelope (120gsm) in Beige color self textured paper. 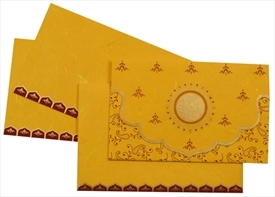 Silk Screen Printing in Red or Gold Color color.